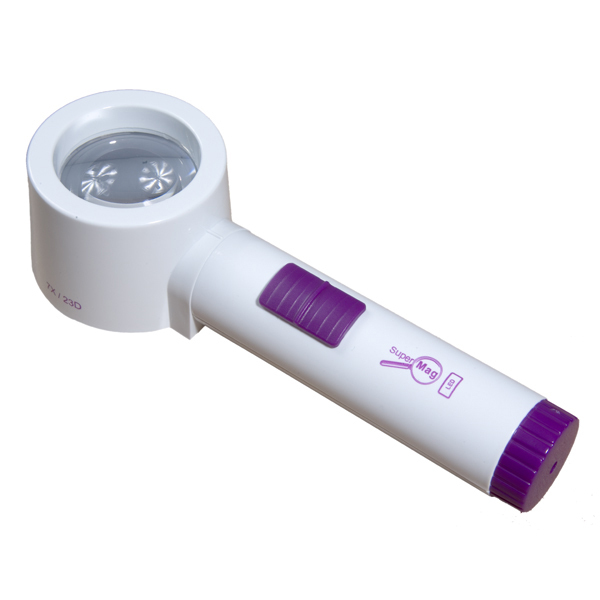 The SuperMag LED illuminated magnifier offers many attractive features to recommend it for your daily magnification tasks. The LED bulb evenly disperses a bright white light across the entire viewing area, giving you an illumination over the whole magnified area. The LED Bulbs are rated for 100,000 hours and are powered by 3 AA batteries.